'Pharma Bro' Gets 7 Years in Prison in Securities Fraud Case - Integration Through Media ....! 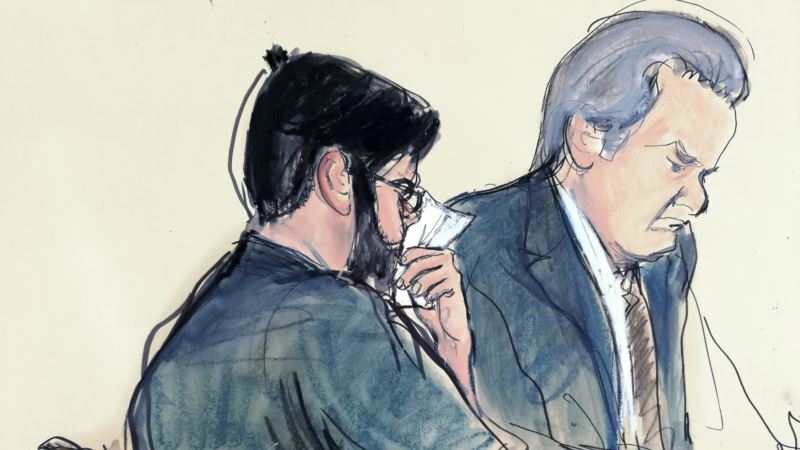 (VOA): The smirk wiped off his face, a crying Martin Shkreli was sentenced to seven years in prison for securities fraud Friday in a hard fall for the pharmaceutical industry bad boy vilified for jacking up the price of a lifesaving drug. Shkreli, 34, the boyish-looking entrepreneur dubbed the "Pharma Bro" for his loutish behavior, was handed his punishment after a hearing in which he and his attorney struggled with limited success to make him a sympathetic figure. His own lawyer confessed to wanting to punch him in the face sometimes. The defendant hung his head and choked up as he admitted to many mistakes and apologized to the investors he was convicted of defrauding. At one point, a clerk handed him a box of tissues. "I want the people who came here today to support me to understand one thing: The only person to blame for me being here today is me," he said. "There is no conspiracy to take down Martin Shkreli. I took down Martin Shkreli." In the end, U.S. District Judge Kiyo Matsumoto gave him a sentence that fell well short of the 15 years prosecutors wanted but was a lot longer than the 18 months his lawyer asked for. He was also fined $75,000. Shkreli was found guilty in August of lying to investors in two failed hedged funds and cheating them out of millions. The case was unrelated to the 2015 furor in which he was accused of price-gouging, but his arrest was seen as rough justice by the many enemies he made with his smug and abrasive behavior online and off. Penalty not about his antics The judge insisted that the punishment was not about Shkreli's online antics or his raising the cost of the drug. "This case is not about Mr. Shkreli's self-cultivated public persona … nor his controversial statements about politics or culture," Matsumoto said. But she did say his conduct after the verdict made her doubt the sincerity of his remorse. She cited his bragging after the verdict that he would be sentenced to time served. And she quoted one piece of correspondence in which he wrote: "F— the feds." The judge ruled earlier that Shkreli would have to forfeit more than $7.3 million in a brokerage account and personal assets, including a one-of-a-kind Wu-Tang Clan album that he boasted of buying for $2 million. Defense attorney Benjamin Brafman described Shkreli as a misunderstood eccentric who used unconventional means to make his defrauded investors even wealthier. He told the court that he sometimes wants to hug Shkreli and sometimes wants to punch him, but that his outspokenness shouldn't be held against him. "It's like the kids today who hit 'send' before they really understand what they texted," Brafman said. Prosecutors rejected that notion. "Mr. Shkreli is not a child," federal prosecutor Jacquelyn Kasulis said. "He's not a teenager who just needs some mentoring. He is a man who needs to take responsibility for his actions." Shkreli became the face of pharmaceutical industry evil in 2015 when he increased by 5,000 percent the price of Daraprim, a previously cheap drug used to treat toxoplasmosis, a parasitic infection that can be fatal to people with the AIDS virus or other immune system disorders. Heckled Clinton Shkreli seemed to treat the case like a big joke. After his arrest in December 2015, he taunted prosecutors, got kicked off Twitter for harassing a female journalist, heckled Hillary Clinton from the sidewalk outside her daughter's home, gave speeches with the conservative provocateur Milo Yiannopoulos and spent countless hours livestreaming himself from his apartment. He also infuriated members of Congress at a Capitol Hill hearing on drug prices when he repeatedly cited his Fifth Amendment right against self-incrimination. Afterward, he tweeted that the lawmakers were "imbeciles." Last fall, the judge revoked his bail and threw him in jail after he jokingly offered his online followers a $5,000 bounty to anyone who could get a lock of Clinton's hair. Before sentencing him, the judge said that it was up to Congress to fix the issue of the drug price hike. And she noted that Shkreli's family and friends "state, almost universally, that he is kind and misunderstood" and willing to help others in need. She said it was clear he is a "tremendously gifted individual who has the capacity for kindness." Some of the letters sent to the court on his behalf were as quirky as the defendant himself. One woman described how she became an avid follower of Shkreli's social media commentary, which she described as being "on par with some form of performance art." Another supporter said Shkreli's soft side was demonstrated when he adopted a cat from a shelter — named Trashy — that became a fixture on his livestreams.